INPUT Unit accepts coded information from human operators through electromechanical device such as the Keyboard, Mouse or from other computers over digital communication lines. The information received is either stored in the memory for later reference or immediately used by the Arithmetic and Logic circuitry to perform the desired operation. Finally the out side through the output unit. The Keyboard is a wired device so that whenever a key is pressed, the corresponding letter or digit is automatically translated into its corresponding code and sent directly to either the memory or the processor. Other Kinds of input devices are: Mouse, Scanner, Joy stick, etc. Output unit is counter part of input unit. this result to the out side world. 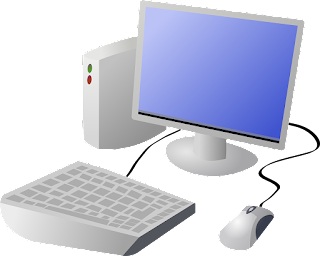 Some Output Devices are: Monitor, Speaker, Printer, etc.